October is the ideal month for trekking in Nepal. During this month, you enjoy clear, dry, and calm weather. The weather conditions and temperatures in the higher regions are also slightly more predictable. These conditions make for comfortable and successful treks. Trekking in Nepal in October is great because of the perfect weather conditions. The best treks and tours within Nepal is possible in October. It is also the time for the biggest festivals of Nepal. You will get the opportunity of enjoying the trek while indulging in the diverse culture of Nepal. Trekking in Nepal is possible and doable throughout the year. 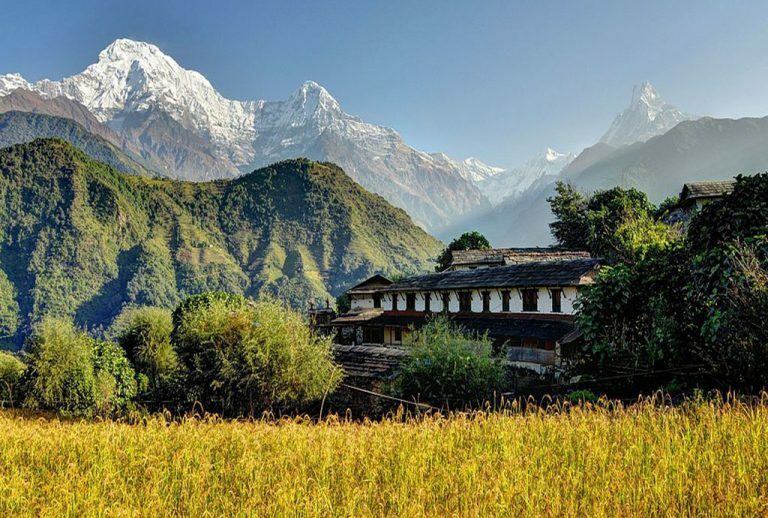 With a wide range of trails, destinations, Nepal has something for every kind of trekker. The visibility is amazing in October. You can enjoy the crystal clear views of the surrounding landscapes. The mountains, terraced farms, forest, gorges, waterfalls, rivers and lakes are at its best. It is mid autumn during October, so you can expect stable and clear weather conditions during this month. 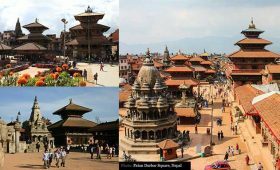 Due to the diverse topography of Nepal, there are some variations in the weather conditions and temperatures from place to place. As you go higher the temperature certainly drops. After 4000m, the temperature drops by 5 degrees with every 100m ascend. During the day, expect the average temperature to be above 20 degrees Celsius. During the nights and early mornings, the temperature is slightly lower. The temperature can drop to 8 degrees Celsius during these times. All the trekking trails and destinations are available for trekking during October. Listed below are some of the recommended trekking trails for October. These trails have amazing weather conditions along with great visibility. You will have a great trekking adventure in these regions in October. All the popular trails in Everest and Annapurna region are open during this month. All the high passes and small trekking peaks in the region are also open. If you are short on time, then some popular trails to undertake in these regions are Annapurna Panorama trek, Everest View trek. You can also choose from the list of the best short treks in Nepal. Long duration treks are perfect to relax, enjoy and explore the trails in the popular regions at your own pace. Some of the most popular are Jiri-Everest Base Camp trek, Everest-3 pass trek, Annapurna Circuit trek, Annapurna Base Camp trek. These trails enjoy the best weather conditions and visibility during October. Hence, it sees the most number of trekkers, climbers, and travellers from around the world in October. 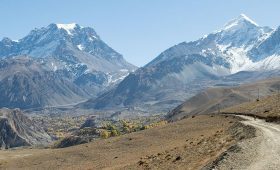 Some of the most beautiful hidden gems of Nepal are Langtang Circuit trek, Mustang trek, Jomsom-Muktinath trek. These are amazing treks that invites a lot of adventure. These novel trails are gradually catching up to the popularity of the popular trails. These are a great option to enjoy the classic trekking journeys and trail conditions of the 1970s. Many of the trekking agencies in Nepal has two types of treks on offer. 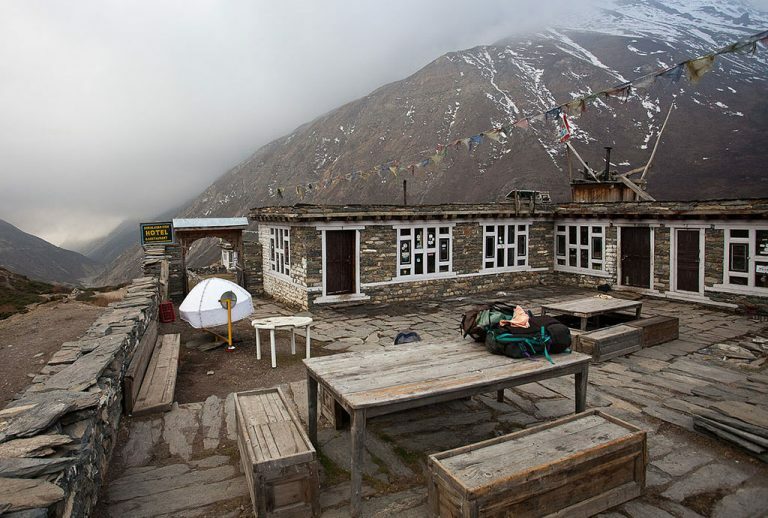 During this type of treks, you will be staying at tea houses. These tea houses provide all the basic facilities like a comfortable and clean bed, mattress, sheet, blanket. The rooms generally have two beds or more. The tea houses also have communal bathrooms. Luxury treks of Nepal give you the options of having single rooms with attached bathrooms. The tea houses will also provide your meals and drinks along with lodging. This type of trek is more comfortable than camp trekking. Some of the best tea house treks of Nepal are on offer during October. During October, the tea houses are generally buzzing with energy and enthusiasm of trekkers from all over the world. It is a great place to meet like-minded people and share adventures, tips, and tricks. In this trek, camps will be your accommodation. You will be setting up camps on your destinations of the day throughout your trek. You or your group will be carrying all the cooking, sleeping, and cleaning equipment and supplies. These are great for remote locations where tea houses are not available. The stable and cool weather of October is a great opportunity to try this type of trekking. Treks in Everest and Annapurna region are great for this type of trekking as well. Well, there are some treks that offer both. Some of the most recommended ones for this type of treks are Everest Base Camp with Island Peak, Mera Peak. This way you can have a taste of both experiences in one trek. Feel free to contact us to help you design the perfect itinerary and trekking package. A festive month with 2 of the biggest festivals of Nepal- Dashain and Tihar. Amazing energy and conversations with fellow trekkers and travellers. Being a peak month for trekking, almost all the tea houses, hotels, restaurants on the trekking trails will be open. All of them including the popular trekking trails will be at their busiest. Hence, you should pre-book your hotel or tea house. Let us help you with that. Or else, you may have to settle for the available accommodation or trek to the next village. October is the busiest month for trekking due to its near perfect weather conditions. All the restaurants, tea houses and cafes in the popular trekking trails of Nepal will be buzzing with energy and conversations. Due to the large number of trekkers and travellers on the trails, you may have to queue for food. For drinks as well, you may have to wait a little longer than usual to get your choice of drinks. The choice for both meals and drinks are usually basic. For water, we always recommend to bring your own water purifiers to be safe from water contamination. It also saves money as you won’t be too dependent on bottled water. The price of bottled water rises significantly on the trails. In October, all the trekking destinations and trails are available for trekking, camping, and climbing. You can choose one that meets your requirements. A trekking permit is a must for trekkers from all over the world. The trekking destination determines which trekking permits to get. Conservation Area or National Park Entry Permit: If your trek goes through any of these, you will need a permit to trek through the area. Restricted Region Permit: If your trek goes through a restricted region of Nepal, you will need this to complete your trek to these areas. All these permits can be easily obtained from Kathmandu or Pokhara. You also can get them in the trail heads as well but, they may be slightly expensive there. You will come across several check points on the trekking trails where you will need to disclose these permits. Nepal has a wide range of trekking trails. These can accommodate anyone from beginners, moderate to experienced trekkers. 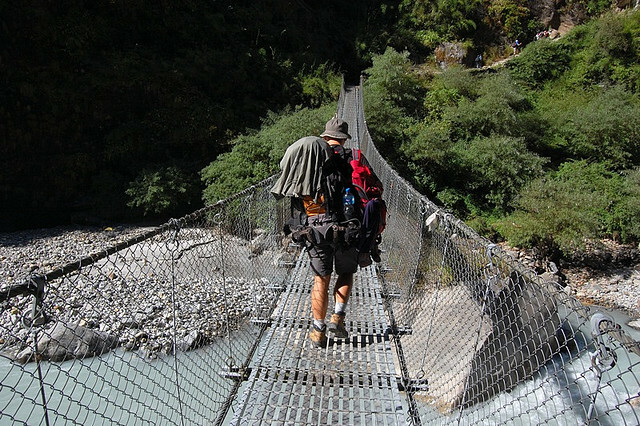 Anyone who can comfortably walk on rough terrains for a few hours each day can definitely find a suitable trek to do in Nepal. After you choose your destination and book your trip, you can prepare yourself mentally and physically. You can also choose to do trek specific trainings before your actual trek. Some of the longer duration treks and the higher altitude treks do need experience. You will need more endurance and some alpine trekking experience for these. Depending on the type of trek you choose to do, there will be a slight change in the trekking equipments and supplies you need. You can easily find trekking equipment needed for treks in Nepal from Kathmandu and Pokhara. They are affordable as well. You can also choose to rent or buy them. Some of the more popular trekking trails have shops that sell the basic supplies along the trails as well. All things including the basic supplies and equipment are more expensive on the higher regions of the trails. This is partly due to the difficulty and mode of transportation. Due to the warm and clear days, trekking shorts and shirts are great for the day. Make sure to pack a pair of warm fleece and long pants for cool mornings and evenings. Also, bring a rain jacket, just in case. Make sure to pack a pair of trekking sandals and boots. Do break into them before the actual trek. You don’t want to have blisters or any sense of discomfort due to new shoes. A sleeping bag with liner is also a great addition for the cold nights or any unexpected weather changes. It can also come in handy if the tea house runs out of blankets. Due to the large number of crowds, this can happen. Having a travel insurance is strongly recommended. Omit October sees the best weather and trail conditions. During these times, a trekker wishes to go a bit further. Or may easily get distracted in conversations with fellow trekkers. Or simply forget about the trails while enjoying the magnificent views. Make sure you get your insurance from your home country. Also check that it covers treks and travels to foreign countries like Nepal. An insurance that covers emergency rescue and evacuation is also strongly recommended. Having a guide and porter is always strongly recommended. In October, they are a must have for making the most out of your trekking experience and the weather conditions. They can recommend the different areas to explore for natural beauty, upcoming festivals, best tea houses, rest stops, cafes. They can also provide you with safety when it comes to your luggage and belongings. While enjoying the views, conversations with fellow trekkers, it is easy to lose focus on your belongings. A guide or porter can do that for you. There is also the option of going without any of these and trekking solo in Nepal. It can be a wonderful and exciting adventure. While trekking solo, it is always recommended to inform at least one of your close ones about your trekking plans and details. Make sure to keep them updated to be on the safe side. You can easily get detailed itineraries for any of the trekking trails and destination in our website. Itineraries give you a general idea about the duration, budget, route of your trek. We can modify the itineraries as per your need. October is the peak season for treks in Nepal. The trails, tea houses, cafes will be functioning on near full capacity. Keep your belonging safe. Pre-book everything for your trek in Nepal in October. Because it is a peak month for trekking, tea houses, trekking packages, restaurants, flights do fill up quickly. Always have enough cash to cover your expenses during your treks. The ATMs’ and cards are not reliable on the treks. Trekking in Nepal in October is an amazing experience. Almost all the trekking trail and destination is available to choose from. There are almost no restrictions on climbing peaks, passes, areas of Nepal during this month. You will have the opportunity to meet fellow travelers and trekkers along the way, in the tea houses, cafes. This way you can make the best of your treks. You get to enjoy the festivities and also have the opportunity to enjoy the merry making with the local people. 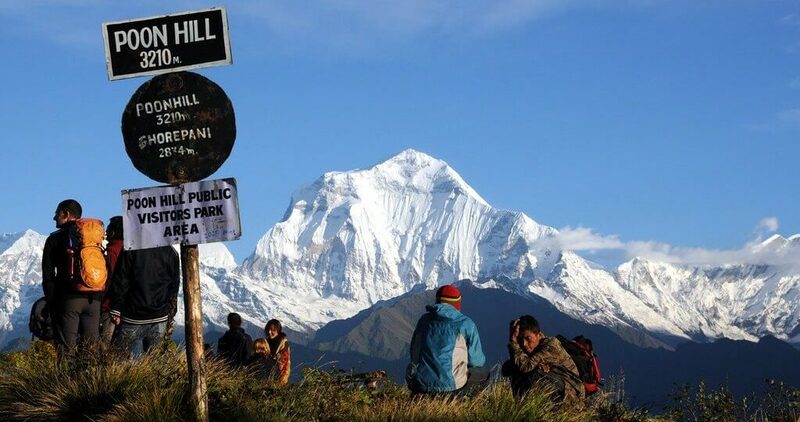 October is a great time of the year for a well-rounded trekking experience of Nepal. The rich natural beauty and culture of Nepal is at its best during October. Allow us to plan your trekking package. Or, contact us for any further queries.